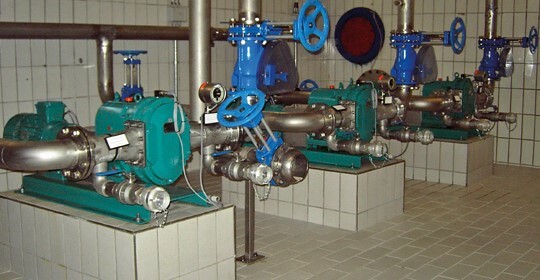 Industrial rotary lobe pumps are very versatile stand-alone equipment. They are used primarily in environmental technology and the chemical industry for continuous and gentle conveyance of almost any substance while dosing in proportion to rotation speed. Their low space requirements and high power density are some of their most important advantages. The RLP Mobile, rotary lobe pump mounted onto a trailer, is ideal for use in any disaster situation.